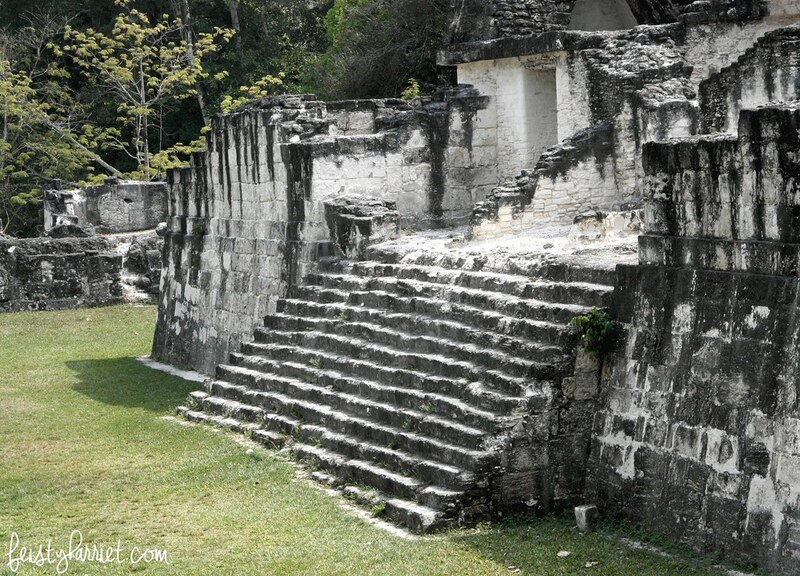 When Blue Eyes and I were planning our trip to Belize I knew I wanted to spend some time on one of the northern caye’s (we chose Caye Caulker), and some time exploring some of the ancient Maya ruins in the interior. 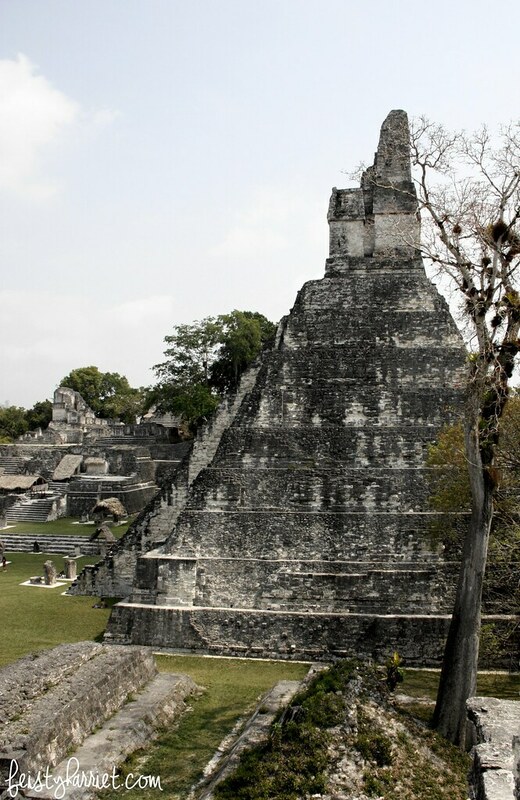 The more I looked, the more I really wanted to visit Tikal National Park in Guatemala, a few hours away. 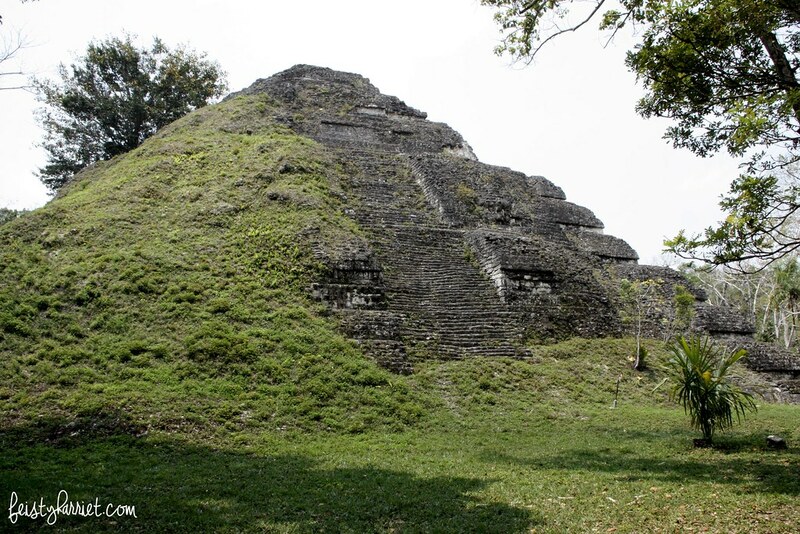 I know there are a number of amazing sites in Belize and others in Guatemala, but something about Tikal was calling to me. So, I researched various transportation options, figured out a way to get us from Caye Caulker to Flores, Guatemala, and set my sights on Tikal. Our guide, booked through our hotel, was AMAZING. He had a PhD in Central American archeology and spent his retirement days doing independent research, taking small groups through Tikal, and traveling to conferences to learn more about Maya culture, both ancient and current. He lived within a few miles of Tikal for most of his life and spent his childhood accompanying his archeologist father into the park. 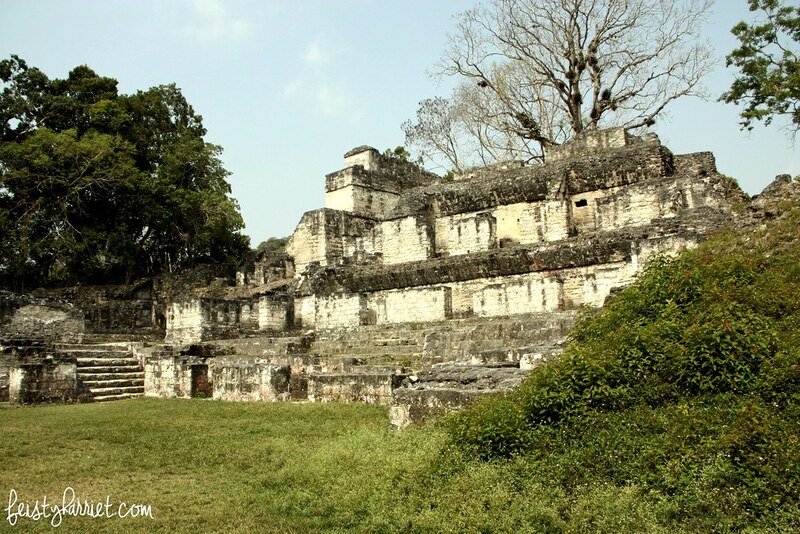 I know there is certainly something to be said for exploring such an amazing place on your own, and Tikal is ripe with places to explore. But I know I wouldn’t have had nearly the enriching experience without our super knowledgable guide. 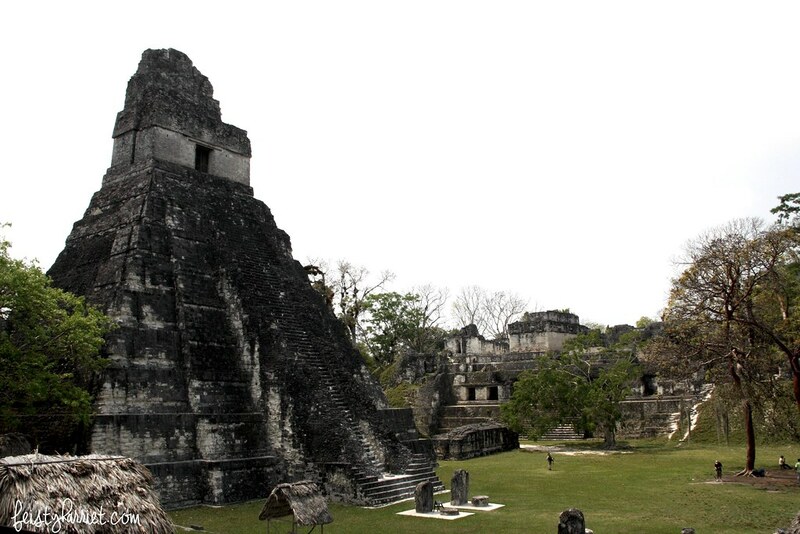 Tikal was built over several centuries, from about 600 BCE to the peak and eventual decline in 900 AD. Think of European cities from 900 AD, they were squalid cess-pools of plague and tribal fighting. To compare to this massive ancient city will make your jaw drop, the sheer SIZE of the various buildings is incredible, multiple stories, stone work that was covered in white plaster and painted in bright reds and yellows and blues and greens. The architectural genius of this civilization is still baffling; Blue Eyes is a civil engineer and he was amazed at so many of their inventions and strokes of genius, stuff that modern engineers are still struggling to figure out, these ancient people had perfected, without computers or power tools. This ancient world was stunning in every way. 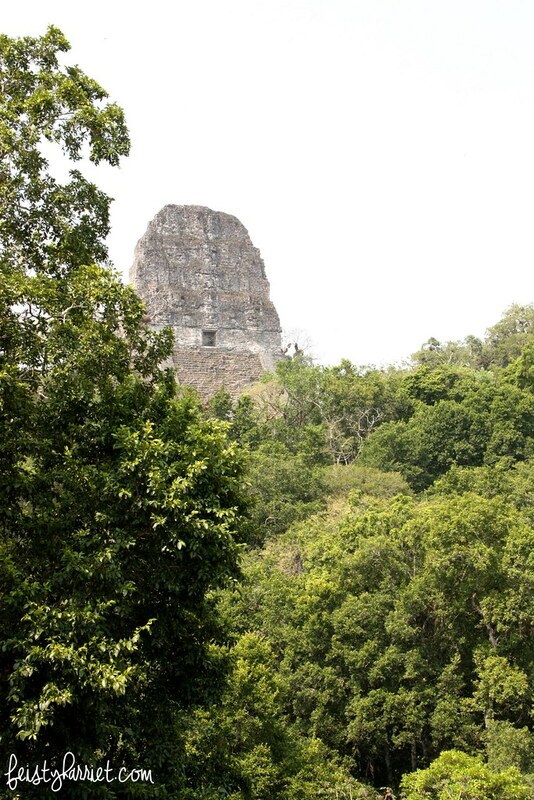 Many of the buildings, temples, and palaces are excavated, but there are literally hundreds more than are covered in jungle and just look like hills. I wish I had taken notes while we were wandering around the park, I have already forgotten so much of the history and detail, both of the reigning kings, the culture, the history…the layers of richness–and the quantity of information our guide was throwing around–are so amazing. This is part of the biggest plaza that has been excavated so far; you can climb all over these ruins, explore the rooms, and sit in the shade, your back cooling against a wall that was built 3,000 years ago. NBD. 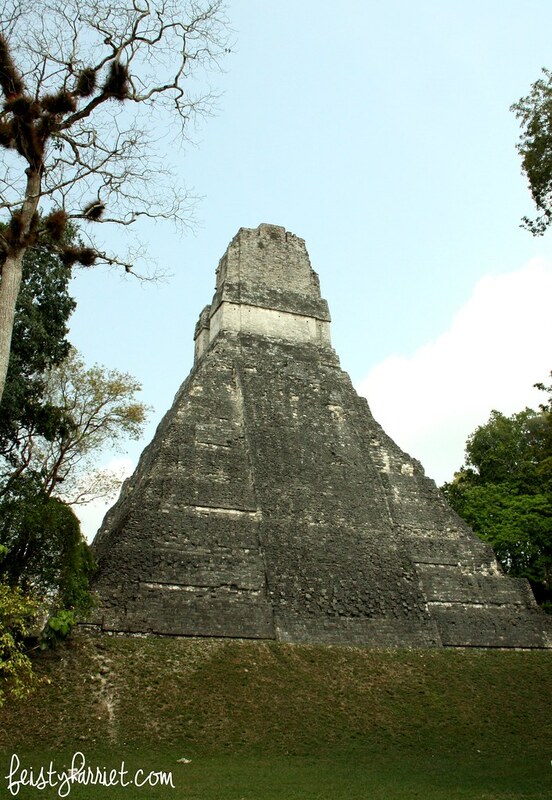 Part of the original Star Wars was filmed in Tikal, it stands in for the Rebel Base. And that is, literally, the least interesting thing about this place. The long, low buildings are palaces, mostly for living. The taller triangle-shaped pyramids are temples, which are for worship and ritual, and, to impress people, obviously. Each new king would try and build something bigger and better than the previous ruler, to show his dominance and general badassery. Dude, that strategy TOTALLY worked on me. Because, LOOK AT THEM! 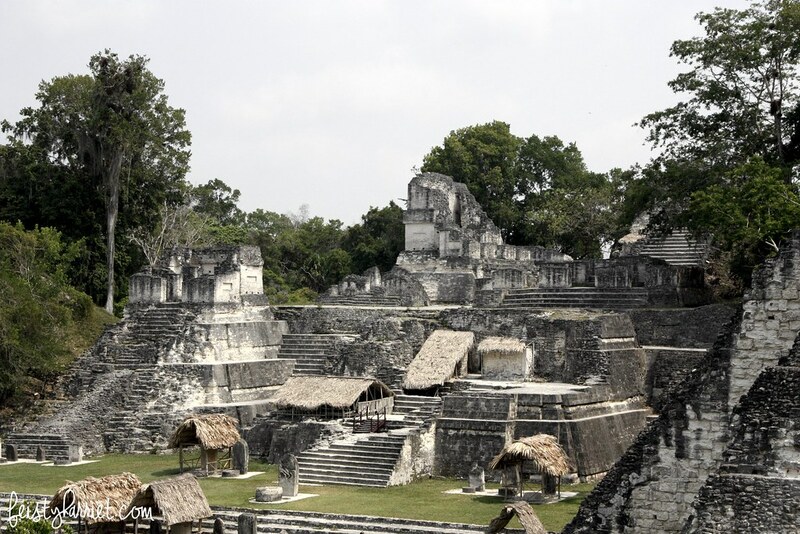 The main plaza, two enormous temples facing each other, with tiers of buildings in-between. We arrived in the park really early, but it was still oppressively hot, 108* and wicked humid with raging forest fires which turned the skies a dense, smoky white and made your lungs burn after several hours (or, after hiking a couple hundred steps to reach the top of one of the temples). We didn’t linger in many areas and I bought several bottles of water as we walked through the park. I kind of feel like I’m running out of ways to explain how AWESOME this place was, I was geeking out like crazy and wishing I could download all of the research on the ancient and modern Maya into my brain for reference. I have since ordered a few books (on recommendation from our guide) and I can’t wait to dig in and learn more about this amazing civilization. If you go: You must show your passport at the park entrance, and pay a cash-only fee of Q 150 quetzals (about $20, but they only take quetzals). Bring water and sunscreen! Bring your camera! SERIOUSLY consider taking a guided tour, we got so much back story and behind-the-scenes information, just because our guide told us where to look and then explained what we were looking at. 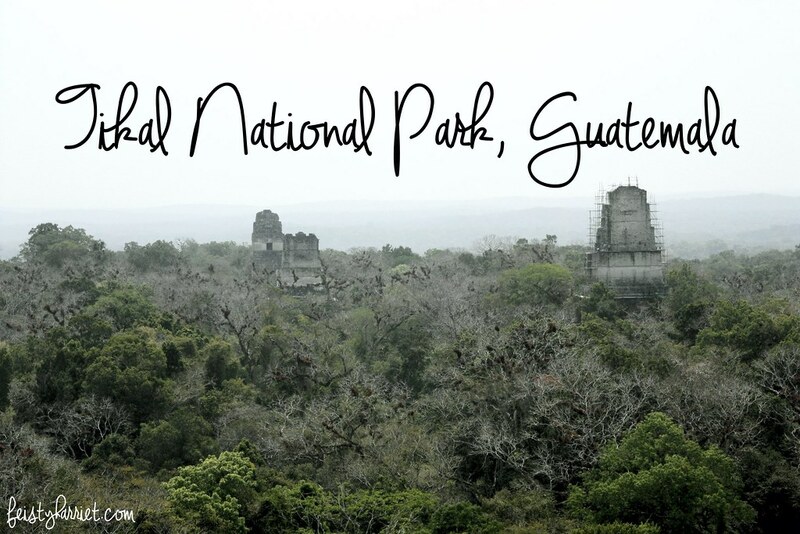 This entry was posted in Far Off Places, Photography and tagged Guatemala, National Park, Photography, Travel, Traveling, vacation planning by Feisty Harriet. Bookmark the permalink. I’m sure you’ll be shocked to hear this knowing about my addiction- er, collection, but I actually have a board game based on the discovery and excavation of Tikal, creatively called… Tikal. That having been said, I WANNA GO THERE IT LOOKS SO NEAT AND LOOK AT THE ARCHITECTURE AND THE CRAFTSMANSHIP AND HOW BEAUTIFUL THE AREA SURROUNDING IT IS AND… yeah. 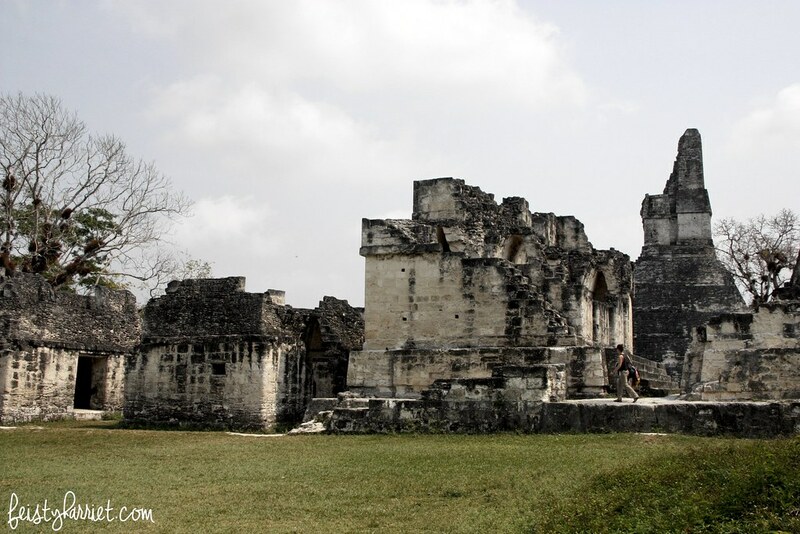 I am obsessed with Mesoamerica so I am completely jealous of this tour. And it just boggles my mind that there are tons of cities and temples engulfed by forest and still not explored. In another life, I would be an archaeologist. So cool. Sounds like a fun place to explore and you got some great pictures!